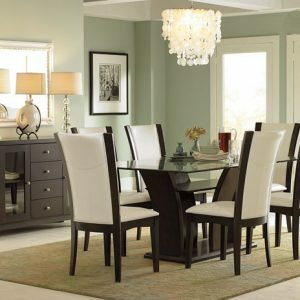 The Inverness dining collection will bring you back to the 8th century French furnishing environment. 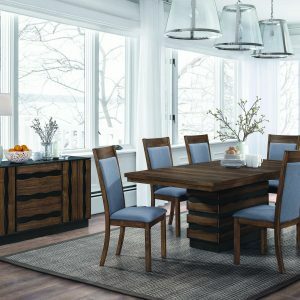 Upholstered in fabric in chair and extra-long banquette bench with nail head trim, it is a challenge in traditional design to achieve fresh and creative taste. 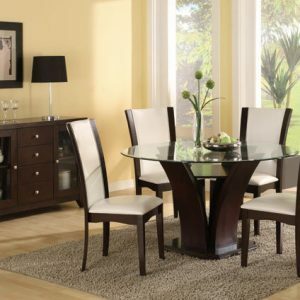 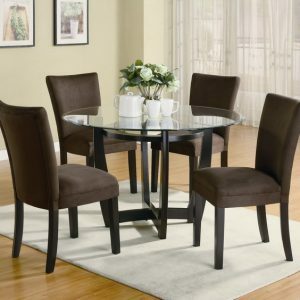 Long double pedestal dining table allows to bring friends and family to enjoy dining time.